Quack quack I am a handsome chap! This chap will bring a splash of....well, he'll make a splash in your home! A lovely farbric mallard duck doorstop with two gorgeous bright beady eyes. 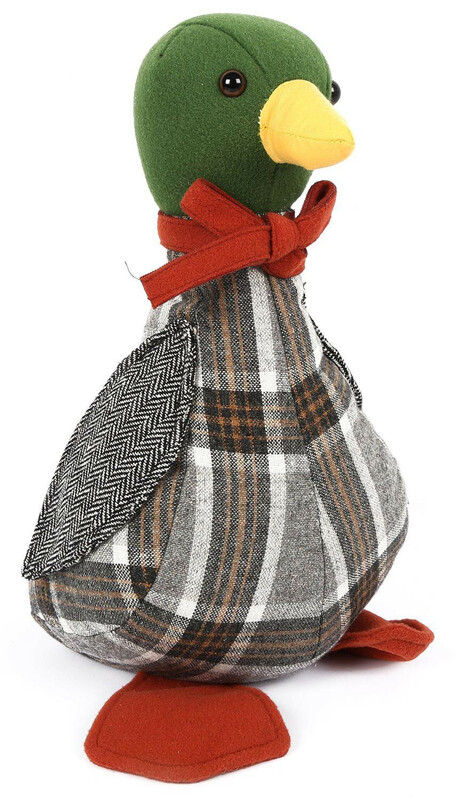 Lots of charm and character and a super gift idea for duck lovers.